We are co-sponsoring screenings of the film Gasland 2 throughout 2014. Click here for a full listing. 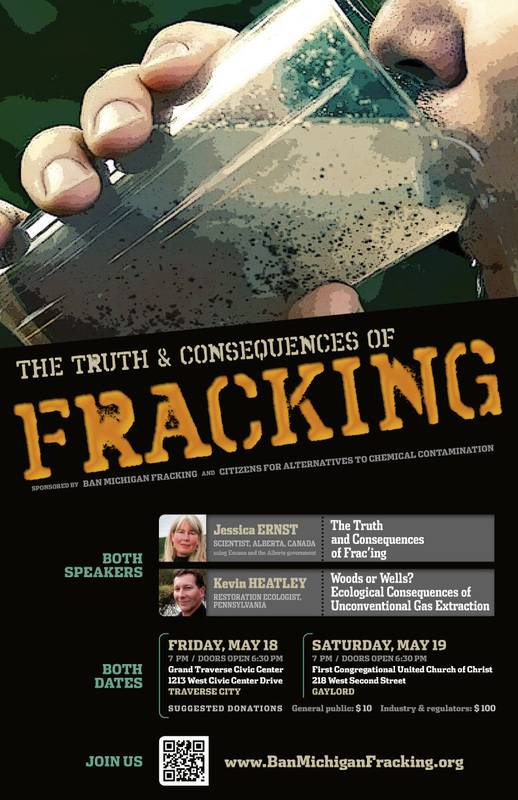 Ban Michigan Fracking co-sponsors this event with Committee to Ban Fracking in Michigan and Michigan Citizens for Water Conservation. 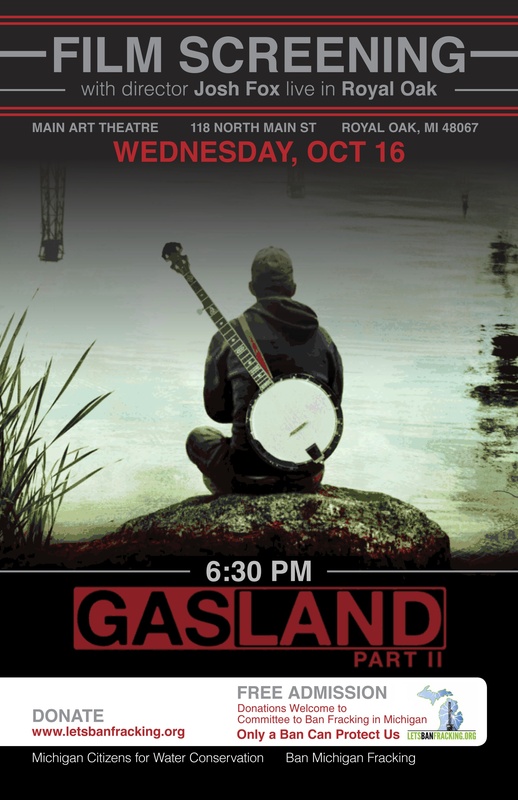 ANNOUNCING: Committee to Ban Fracking in Michigan is hosting Josh Fox live in Royal Oak, and a free screening of the sequel documentary, Gasland Part II, at the Main Art Theatre, October 16. Pass the word! 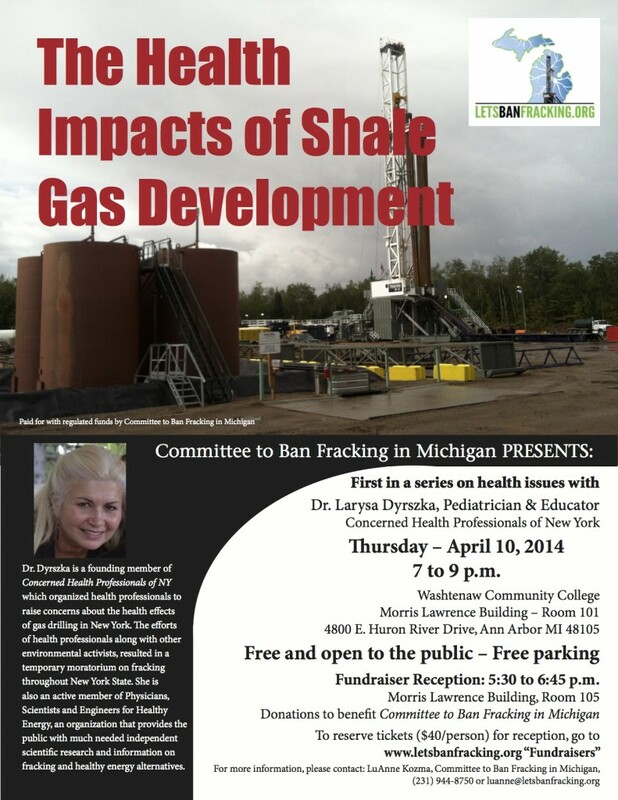 Co-hosted by Ban Michigan Fracking and Michigan Citizens for Water Conservation. OGEMAW COUNTY MORATORIUM PRESENTED AT OGEMAW COUNTY COMMISSION MEETING–West Branch, October 25, 2012, 7 p.m. The AuGres Rifle Watershed group will present a proposed ordinance placing a moratorium on frack disposal wells and pipelines in Ogemaw County. PROTEST AT DNR AUCTION–Lansing Center, Lansing, October 24, 2012, 8 a.m. or earlier. Another round of mineral leases will be up for auction by the State of Michigan, tomorrow morning in Lansing at 8 a.m. Groups and anti-frack activists from around the state plan to be at the auction and outside the Lansing Center in downtown Lansing to protest the auction. Pierce Cedar Creek will host an informational meeting for landowners (and the public) interested in learning more about oil and gas leasing of private properties. The typical oil and gas leasing meeting offered through the MSU Extension office includes a presentation by the DEQ on hydraulic fracturing as well as print materials offered by the Michigan Oil and Gas Producer’s Education Foundation (industry-funded). Local Future will host a discussion on the environmental impacts of fracking at the Thornapple Township Hall, 200 E. Main St., in Middleville. 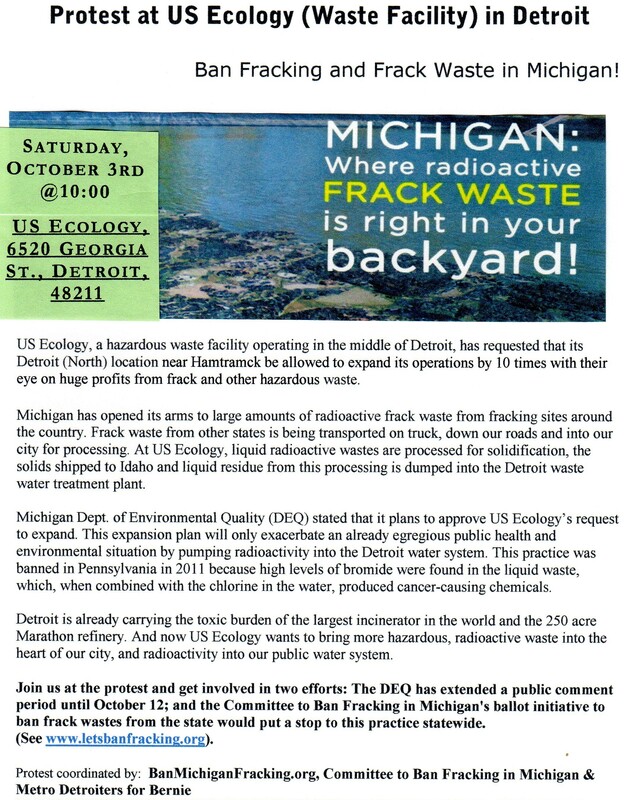 Purpose: Let the Michigan DNR/DEQ know that we do not support oil & gas leasing and fracking on public land. Ban Michigan Fracking: Occupy/protest at the 10th Annual Michigan Petroleum Conference of the Michigan Oil and Gas Association. See: http://www.mlive.com/business/west-michigan/index.ssf/2012/03/expanding_oil_and_gas_explorat.html“No Fracking Way” talk by Chris Williams, Grand Valley State University- 4-6pm. 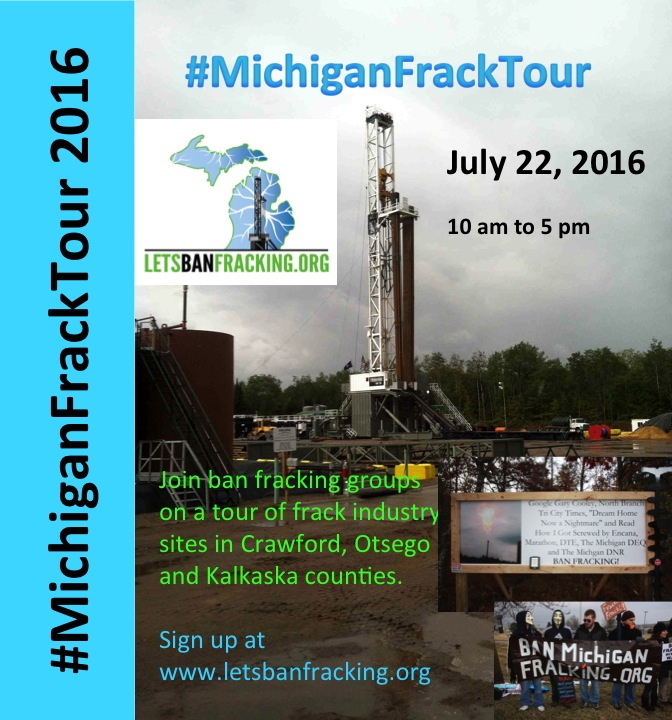 Ellis Boal will be one of the three panelists, representing Ban Michigan Fracking. Also on the program are representatives from the DEQ and the gas industry.